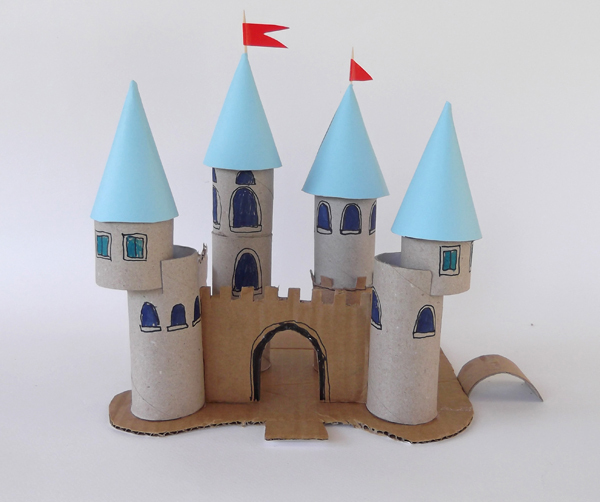 In the real world most castles were build for defence and military purposes. However in the world of fairy tales in castles live lazy kings, beautiful, long-hair princesses, even frogs that become kings. At least four toilet paper rolls. A plate (diameter around 17cm). Heavy colored paper of any color. 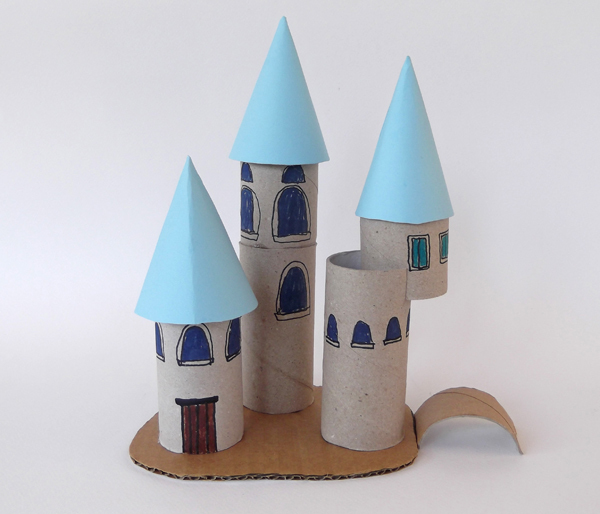 To make your own castle with toilet paper rolls and other easy to find materials watch the video or follow the step by step instructions. 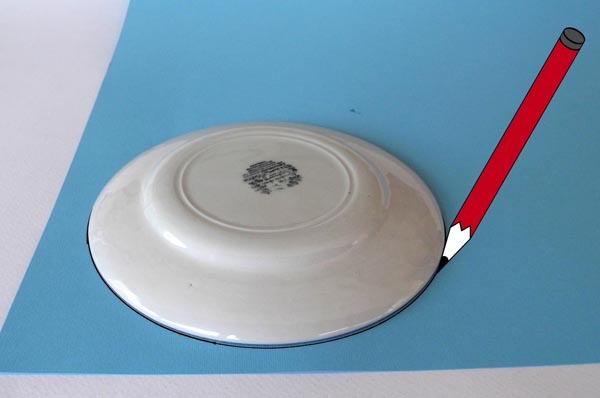 1) Place a round plate over a piece of colored paper. Trace with a pencil the circle around the plate. 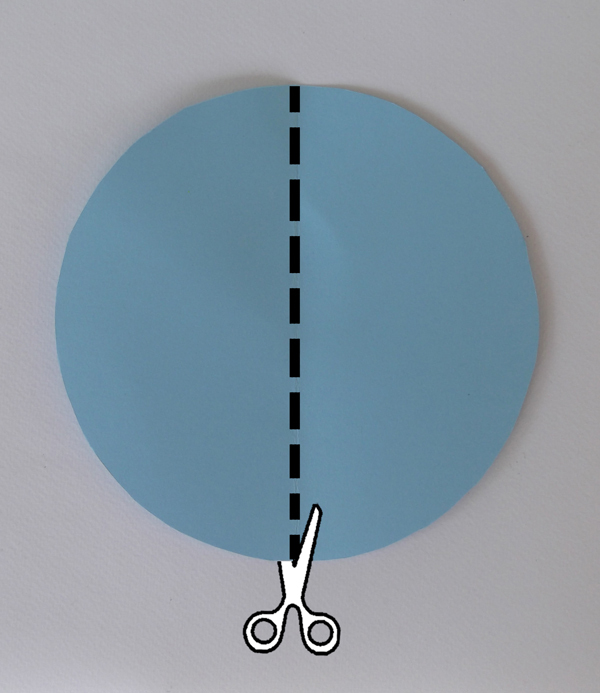 2) With scissors cut along the circle. 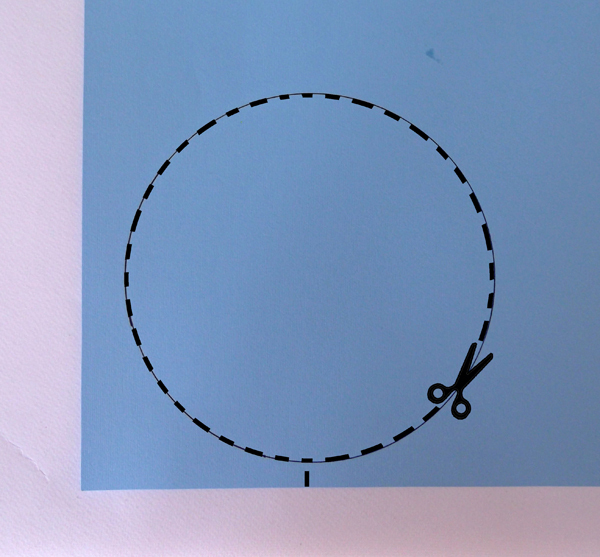 3) Fold the paper circle in half. 4) Cut along the crease. 5) You created two semi-circles. 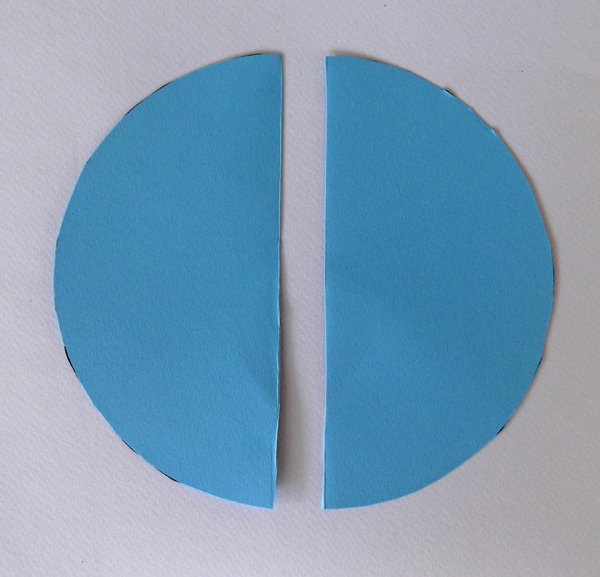 6) Pick one semi-circle and bring the edges together forming a cone. Apply glue and glue the edges together. 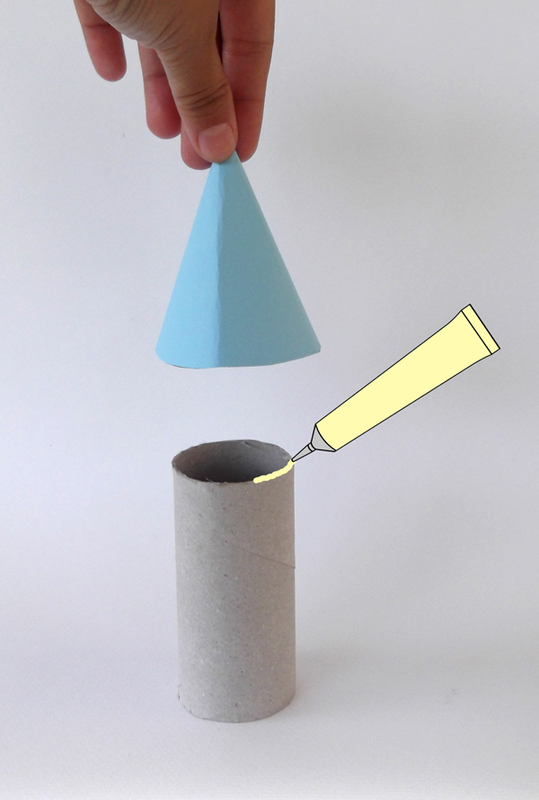 7) Apply glue along the top edge of the paper roll. 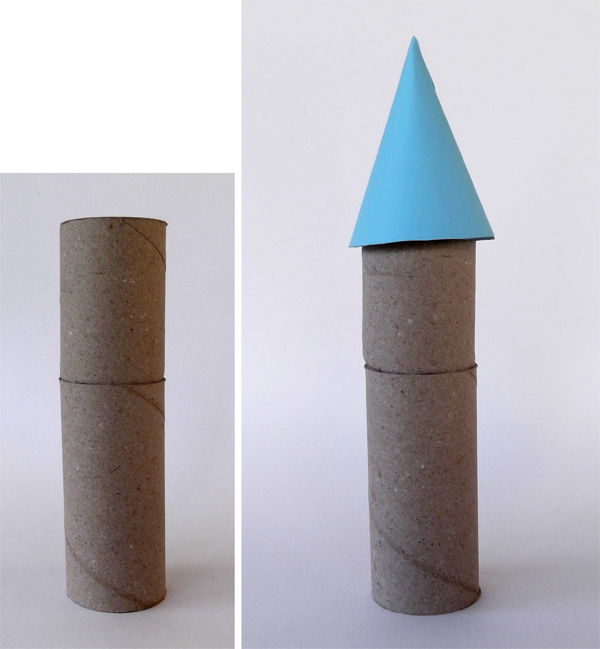 Glue the cone roof and the toilet paper roll together. 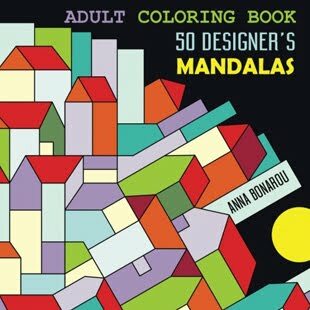 8) With pencil and color markers draw some architectural elements like windows and doors. 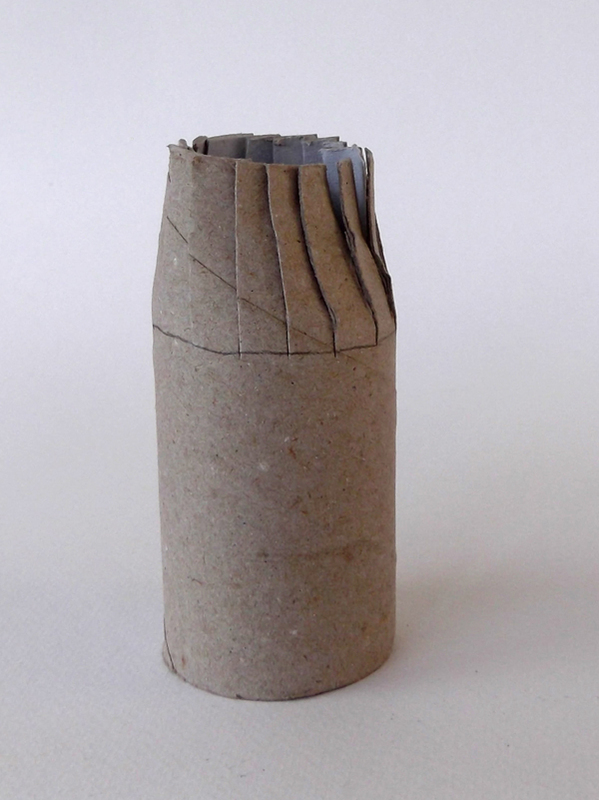 9) Find two toilet paper rolls. 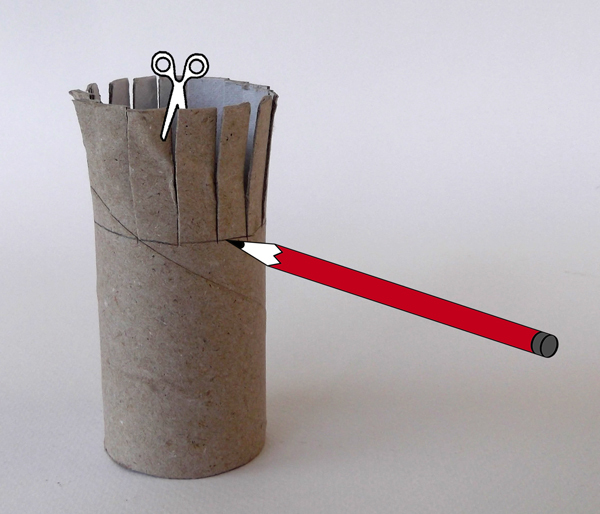 10) Draw a line around the roll, near the top edge. With scissors cut slits from the edge to the guide line. 11) Press the flaps inward. 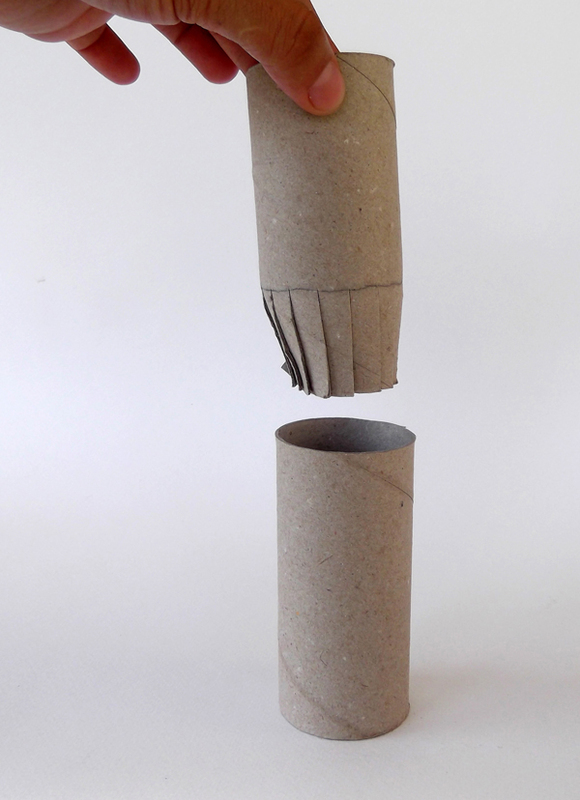 12) Put the roll inside the second roll. 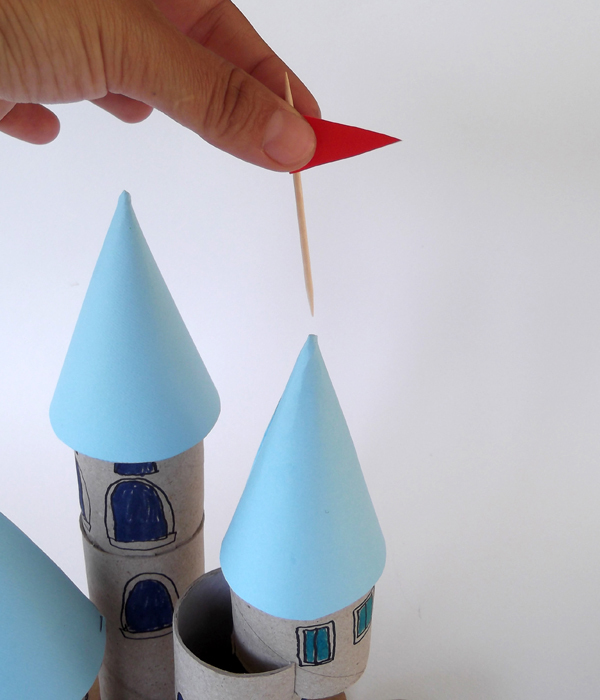 13) Press the rolls together and add a cone roof. 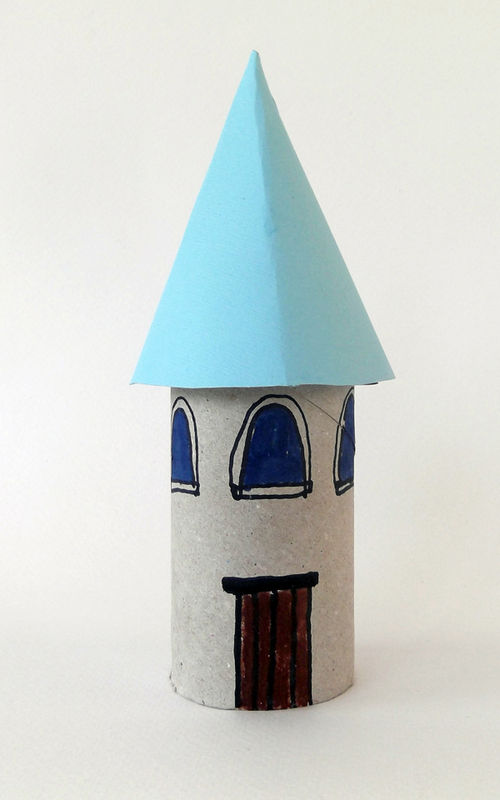 In fairy tales the princesses live in the most isolated room on the top of a tower. 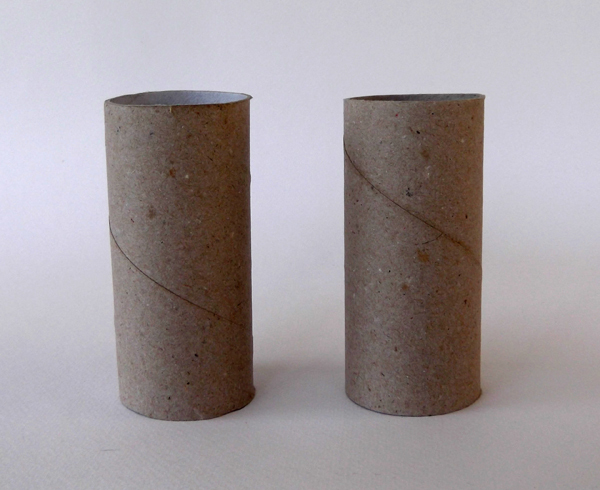 14) Take two toilet paper rolls and cut one roll in half. 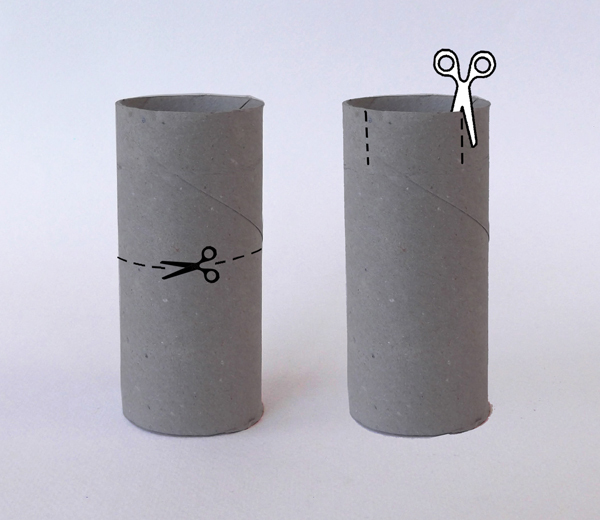 In the second roll make two slits with scissors. 15) Slide the half roll inside the slits. Glue the cone roof on top. Cut a rectangle out of the cardboard box. 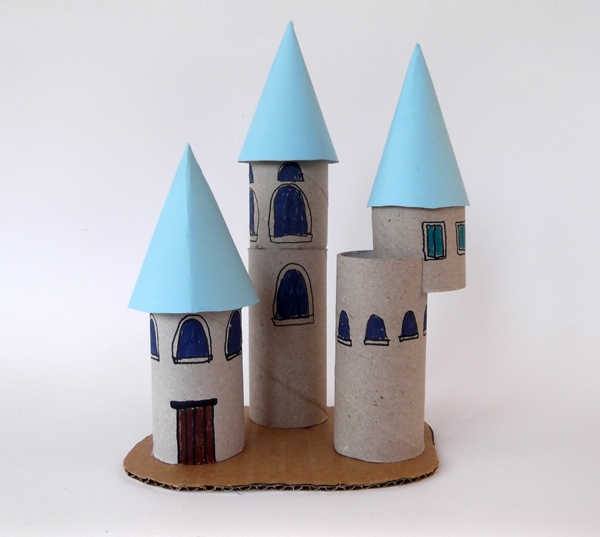 Arrange the towers and glue them onto the cardboard. 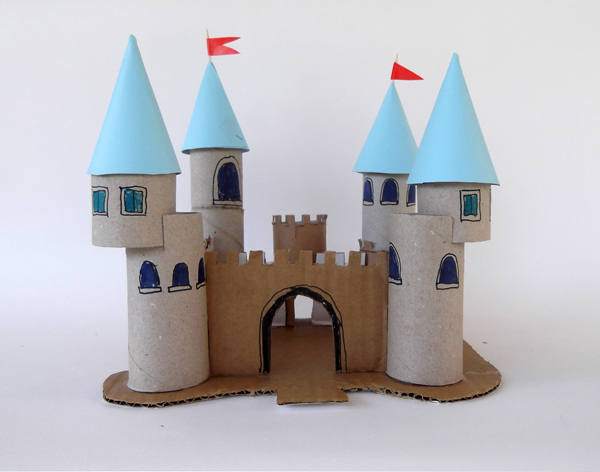 Cut the cardboard around the Chateau to make it look like an island surrounded by a moat. Add a bridge to gap the moat. 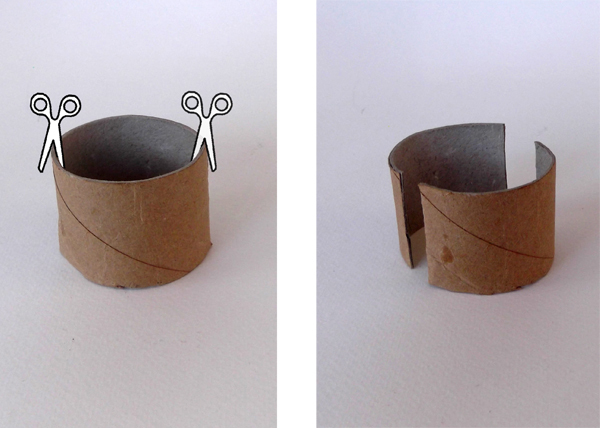 Cut a ring out of the toilet paper roll. Make two slits, one opposite the other dividing the ring into two semi- cylinders. 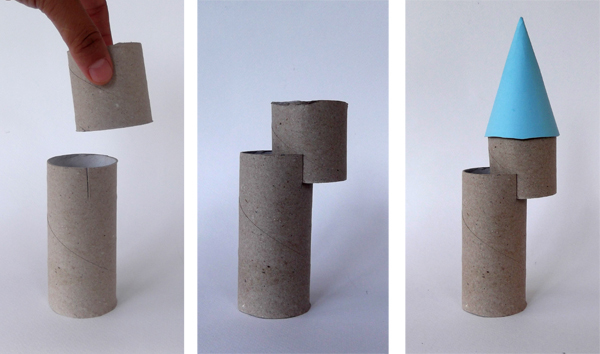 With the semi-cylinder make an arch bridge. 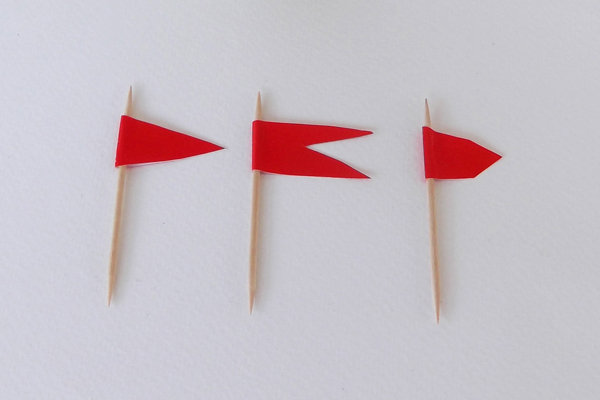 Make flags with tooth picks and colored paper. 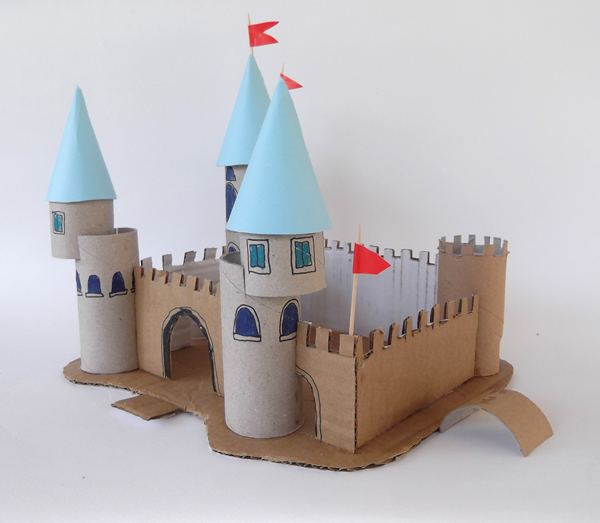 Combine several architectural elements, like walls with battlements, bridges, towers etc to make more cmplex castles and fortresses. That is really beautiful. And step by step instructions make it easier. I’m contacting you from opeeqo (www.opeeqo.com), an online destination for modern parents. We've published an article called "DIY Your Own Imaginative Play Scenes, Cities, and Vehicles ", and we’re really excited to feature your work. Thanks! 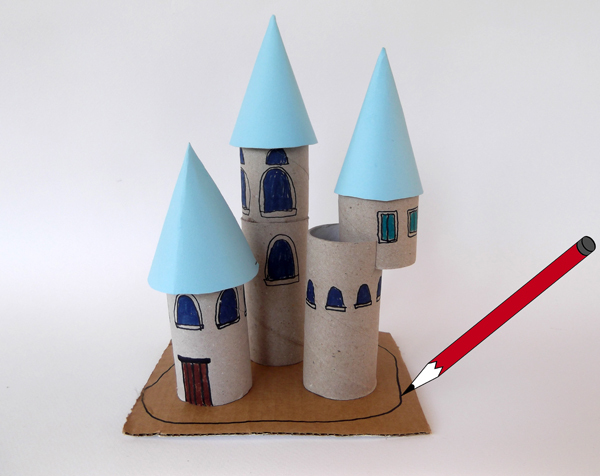 This was super helpful for our first castle project. Great ideas! !